2 items of business today. First of all, Milo officially loves swimming. We swam for 3 hours on Saturday and he would have kept going all night. 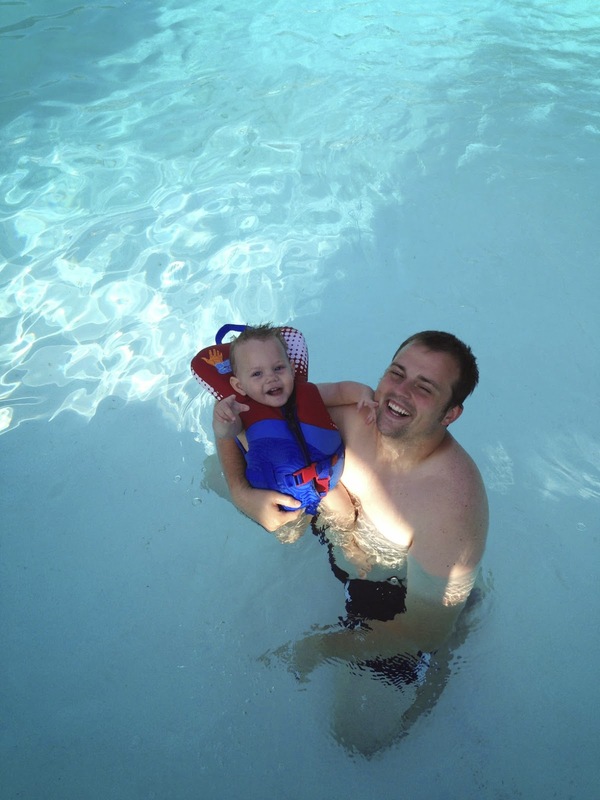 With an ex-lifeguard and diver as a mom and a Las Vegas native who grew up with a pool in his backyard as a dad, this munch has a love of water in his blood! I've always known he loves water, and he's never cried in the bath or the pool. This is the beginning of a beautiful relationship. 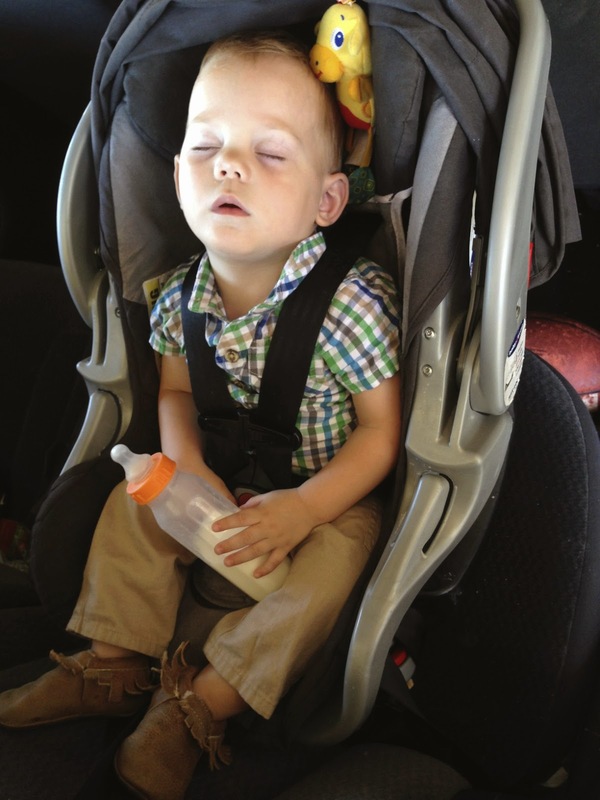 And this sight I will never get over: conked out baby in the back of the car. AKA free lip kisses because he's asleep and he can't escape me, followed by a little rocking chair time before he makes it to his crib. THE BEST. Tomorrow I'm getting my headshot for real estate taken. Fabulous... because obligatory photos always turn out SO well for me, not. So wish my hair a good day.